More employees on zero-hour contracts have contacted Campbell Live complaining of how their employers can’t even promise them half a shift. Employers say the contracts allow them flexibility, but for the employee it means turning up for a shift, even if that shift is only an hour long. As the union gets into negotiations this week with fast food companies, Campbell Live wanted to ask how many employees are on zero-hour contracts, and how does that number impact on New Zealand’s low unemployment rate? This Saturday, February 14, over 100 fast food workers from across New Zealand will be gathering in Auckland to discuss their upcoming battle to end zero hour contracts in the fast food industry. The conference is also open to anyone who wants to actively support the workers campaign. This issue has emerged as the number one problem for workers in the industry over recent years. Almost no hourly paid staff have guaranteed hours. Attempts through previous collective agreements to regulate the allocation of hours in a fair and transparent manner have been unsuccessful. 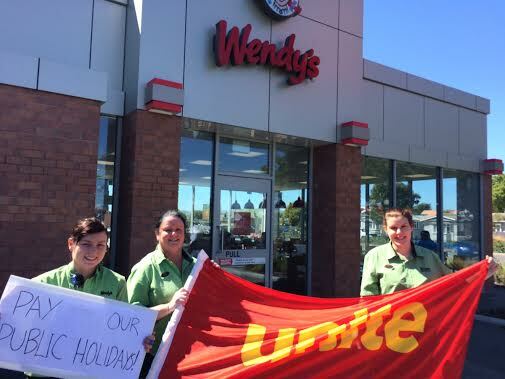 Unite has collective agreements with McDonald’s, Restaurant Brands (KFC, Car’s Jr, Pizza Hut and Starbucks); Burger King and Wendy’s. Whilst real improvements have been made it has proved difficult to get the companies to abandon their attachment to “flexibility” around rostered hours. The best we have achieved is to have clauses that specify the need to advertise hours to existing staff before new staff are hired but that has proved difficult to enforce. The companies have a turnover of staff of about 66% a year and we have tried to argue that this could be reduced with regular guaranteed hours but the companies seem unmoved by that argument. They seem to prefer the control that zero hour contracts give over their staff. These type of contracts also exist in the security industry, hotels and many call centres where Unite represents workers as well. 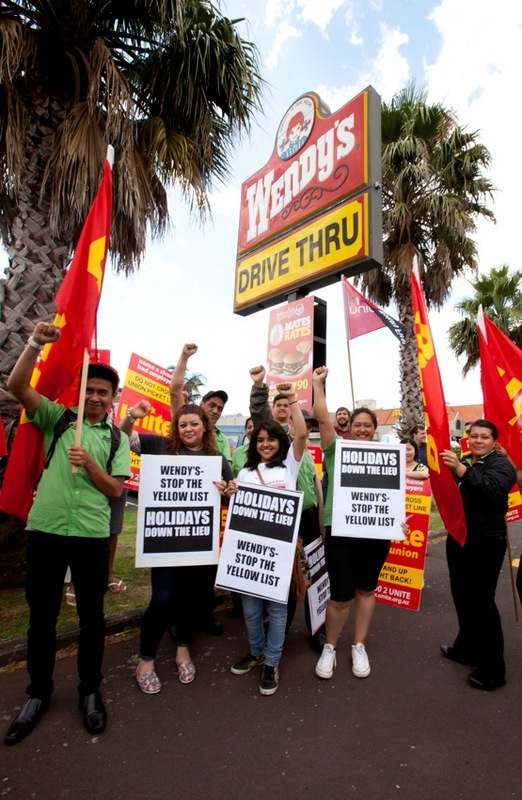 Wendy’s workers from five stores in Auckland and Papakura walked off the job yesterday over the company’s theft of their right to “alternative days” off or “lieu days” for working on a public holiday. 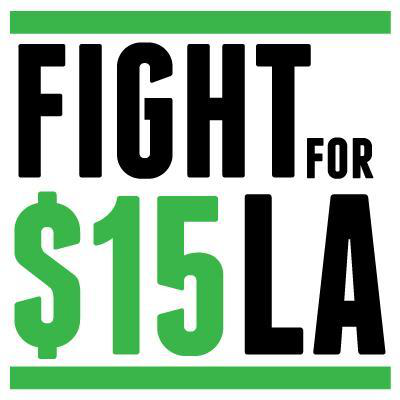 Two McDonald’s workers from the “Fight for15 LA” campaign in Los Angeles will be visiting New Zealand from February 9 to 17. 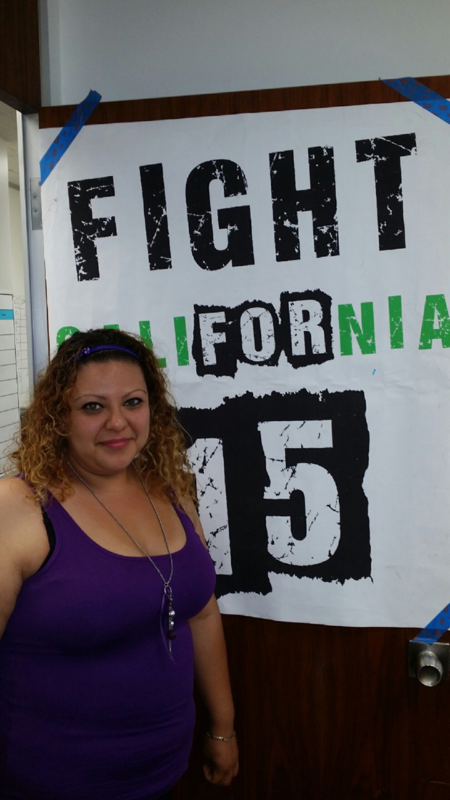 Genoby Jaimes, 27, has worked at McDonald’s for 6 years and only makes $9.75. She is a mother of a six year old son. 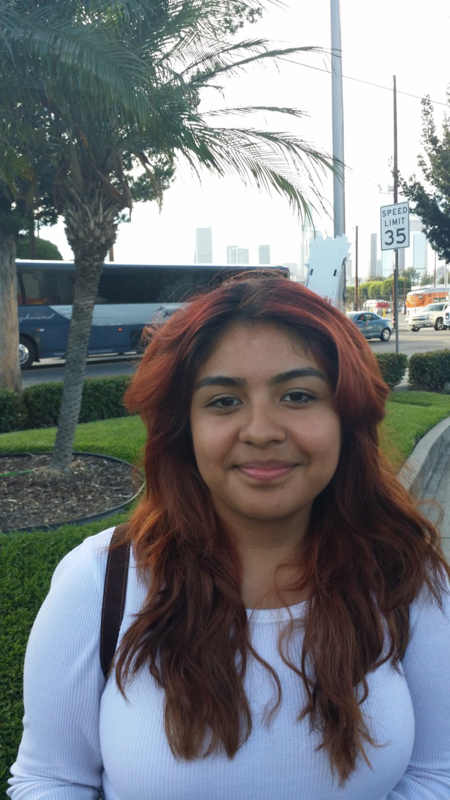 Anggie Godoy, 19, has worked at McDonald’s for a year and makes $9 an hour.